Note: most of the links on this post no longer work, as we moved to a new Web site in 2018. But you can try searching on the same names (as links below) on the new site. Hey, it’s Day 3 of the “While the Cat’s Away…” Giveaways! And today’s theme is “Young Love” (I know, kinda pink and girlie for me). Beside clicking on the photo at right to see even more details of today’s kit, check out the sweet shrine (below) by Design Team Member Laura Carson that started this whole theme going (shown with the door closed and open; click on both pics for larger photos). Beside all the lovely pinkness & hearts shown in the larger photo, I’m including the same masonite shrine kit (Baroque Door Shrine Kit) that Laura used in her artwork (which means that shrine kit is on sale, too). Here’s how these themed days will work: I’ve gathered new (and current) items around a theme. All of them are on sale for everyone. And I’ve pulled together a lovely Giveaway Kit made from those goodies that will be awarded to one lucky person. To enter the “Young Love” Giveaway drawing all you have to do is leave a comment on this blog post (don’t forget to leave your email address, too, so I can contact the winner; note, your email address does not need to be made public). After midnight I’ll randomly pick the previous day’s winner. More info on the Holiday Closure & Giveaway Rules (including how you can get entered twice in each day’s drawing). Note: all the indented items below are included in the Giveaway Kit. There are some additional (related) things just(!) put on sale that are not in the Giveaway Kit (down at the bottom of this page). New & on Sale! Tiny upper case alphabet (with a couple extra dingbats). 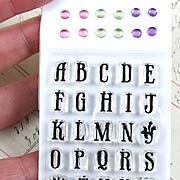 Each letter is separate (just peel them off the backing sheet, position on your clear acrylic block and stamp what words you’d like). Also comes with 12 little self-adhesive rhinestones. New & on Sale! All 4 colors/sizes/designs shown are also on sale! New & on Sale! 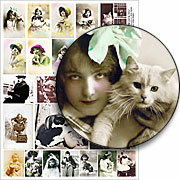 Sweet images of (mainly) children with their pet cats from vintage photos and Cabinet cards. Not New to the Site, But Newly On Sale! 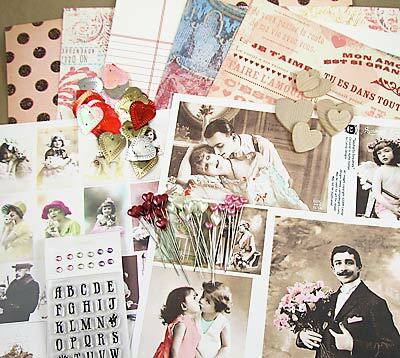 Romantic images from vintage postcards in a sepia & pink palette. Licensed from Teri Calia. 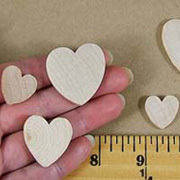 2 each of 3 sizes (3/4″, 1″ & 1-1/4″ tall; all are 1/8″ thick). They may need a little sanding around the edges. 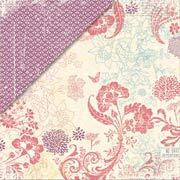 Charm sample by Design Team Member Barbe Saint John using an image from Roses #2 Collage Sheet. Made of sturdy masonite and is easy to assemble with just a bit of glue. Instructions included. Finished shrine measures approx. 2-3/4″ wide x 3-3/4″ tall (not including decorative header) x 1-3/8″ deep. The inside compartment is perfectly sized to fit ATCs and measures just over 2-1/2″ x 3-1/2″ x 1-1/8″ deep. You can fit several inside and peer at them through the window. The fully working door swings open and closed. Kit comes with an easy to assemble 3-D door knob too. 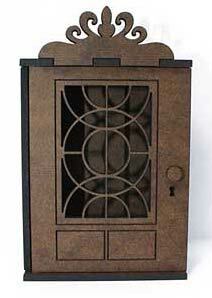 Also features beautifully engraved details on the door and a sweet keyhole. 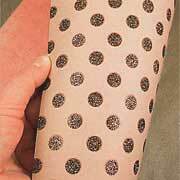 Double-sided 12″ x 12″ pink scrapbook paper with big cocoa brown polka dots, accented with fine glitter. The back has a busy pink-on-pink geometric pattern. Heavy double-sided sheet. Red circles against a cream background. The back side has faint handwriting on a red-lined page (ledger paper). 12 x 12″ double-sided cardstock. The contrasting triangular corner in the photo is showing the back side only. 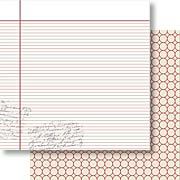 12″ x 12″ double-sided paper with a linen texture. A curtained stage on the front and bouquets of roses on the back. 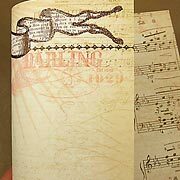 Double-sided 12″ x 12″ cream-colored scrapbook paper with a music theme (in pink and cocoa brown), accented with fine glitter. The back has a faded music score pattern. 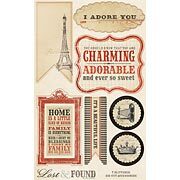 Double-sided 12″ x 12″ cream-colored scrapbook paper with a Paris/Valentine theme, including the Eiffel Tower, accented with fine glitter. The background features a nice, faint bookprint. The back has a distressed floral pattern. Lovely sheet of 7 die-cut tags on 8″ x 5″ cardstock. Each tag has an endearing message or picture, and is accented in fine red glitter. Perfect for Valentines. Back in Stock! Die-cut cardstock. 112 pieces. 2 of each design; glittered; double-sided (pink polka-dot pattern on the backs). Approx. 3-3/4″x 3-1/4″. Extra-heavy chipboard. What a cutie! 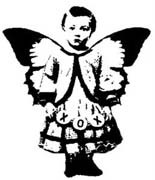 Based on an ATC of Tracy’s, this stamp is a good size for making your own ATC. Back in Stock! Not long enough to be hat pins (because I know you wear a hat) but beautiful! Miniature flowers on wired stems. Stems are approx 3-1/2″ long and flowers 1/2″ wide. Here’s the recap of the Giveaway Rules. And check yesterday’s post for the “Printery” items that are still on sale. So leave me a comment and tell your friends. Cool, this would be in time for me, and I need lots of time, to do Valentines Day! Thanks for the chance to win! December 28th, 2011 at 8:33 am. luv all the stuff! Could lightning strikr 2x? December 28th, 2011 at 8:38 am. Love this! Thank you very much for the chance to win!! December 28th, 2011 at 8:40 am. Thank you so much for your a chance to win such lovely art goodies. December 28th, 2011 at 8:43 am. December 28th, 2011 at 8:47 am. Thanks so much for giving everyone a chance to win these great goodies. December 28th, 2011 at 8:51 am. Thanks for letting me have a chance to Win! Love your site. December 28th, 2011 at 8:53 am. Love the items and a chance to win! December 28th, 2011 at 8:55 am. Oh, how fantastic! Valentine’s Day is coming! December 28th, 2011 at 8:56 am. December 28th, 2011 at 8:58 am. What a lovely job she did with the Valentine Shrine! And I love your giveaway. December 28th, 2011 at 8:59 am. OHHH pretty pink. Looks like Valentine’s Day is coming!! What a great collection. Looking forward to winning. Thanks so much for taking the time to put these all together so nicely. December 28th, 2011 at 9:01 am. OH CRIPES!! I reeeeally love this! December 28th, 2011 at 9:07 am. 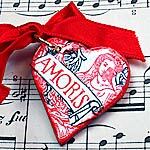 I would love to win these beautiful love items! December 28th, 2011 at 9:14 am. I wish I had a website to be entered 2 times. I will like on facebook though! Thank you for a chance to win. I love valentines!!! December 28th, 2011 at 9:17 am. December 28th, 2011 at 9:18 am. Your giveaway button is on my blog. I adore these shrine kits! 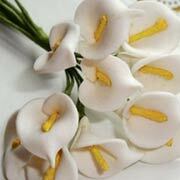 And the mini calla lilies are unbelievably sweet. December 28th, 2011 at 9:19 am. Oh this is just perfectly fabulous for valentines, i love the stick pens and the shrine kit, wonderful. The hearts, the paper, oh my it’s all fantastic! December 28th, 2011 at 9:20 am. I feel so girly! Squeee! December 28th, 2011 at 9:25 am. this is the best day yet. But I can’t wait to see the rest of the week. December 28th, 2011 at 9:32 am. The shrine is great! Thanks for the chance to win! December 28th, 2011 at 9:39 am. Perfect timing for Valentine projects! Thanks for the chance to win! So sweet and serene! I’d love to win. December 28th, 2011 at 9:49 am. Beautiful collection! I especially adore the shrine…my fingers are crossed! I also posted on FB! December 28th, 2011 at 9:56 am. Just in time for Valentines,love it all. Thanks for the chance to win all these goodies! December 28th, 2011 at 10:04 am. December 28th, 2011 at 10:14 am. December 28th, 2011 at 10:20 am. December 28th, 2011 at 10:23 am. December 28th, 2011 at 10:26 am. This little mouse would love to play with this giveaway. Perfect timing for Valentines…trying to plan ahead! Love this kit…thanks for being so generous and boosting our creativity! December 28th, 2011 at 10:27 am. Let all my friends know on Facebook!YAY! December 28th, 2011 at 10:30 am. Cats, hearts, pink…….all my faves in one swell giveaway! Love all of it! December 28th, 2011 at 10:35 am. That is the cutest thing ever! I just love that shrine kit!! There is just so much added to that project and it makes it so fun and interesting to look at! Beautiful!! December 28th, 2011 at 10:37 am. These kits just keep getting more gorgeous and intriguing. Love this one! December 28th, 2011 at 10:45 am. Love this kit so much. So very romantic. December 28th, 2011 at 10:47 am. 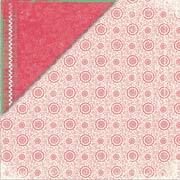 shrine..polka dot paper…images..fun goodies……I may not be young,but I’m IN LOVE with this! a lovely giveaway!!! thanks for the chance to win. December 28th, 2011 at 10:51 am. I love the shrine kit!!! How fabulous!!! December 28th, 2011 at 10:52 am. Adorable…Hope I win this one! December 28th, 2011 at 10:53 am. Pink and girlie and beautiful too! December 28th, 2011 at 10:59 am. December 28th, 2011 at 11:01 am. Everything in this kit is so sweet! Love it! December 28th, 2011 at 11:07 am. I love all of these. I’m using the cool London stamps I got here in about a billion projects. I posted about the giveaway (and the badge) on my blog! December 28th, 2011 at 11:09 am. Love everything, as I always love all your products. Happy New Year! December 28th, 2011 at 11:13 am. December 28th, 2011 at 11:14 am. December 28th, 2011 at 11:32 am. What a great way to celebrate Romance! Thank you! December 28th, 2011 at 11:33 am. This kit is gorgeous. You are outdoing yourself each day! Keeping my fingers crossed that I am picked! December 28th, 2011 at 11:43 am. I may not be all that young any more- but I love young love. I especially love your kits! December 28th, 2011 at 11:46 am. Fun kit!! Thanks for the chance to win!! December 28th, 2011 at 12:23 pm. What a marvelous gift and so many amazing things on sale! December 28th, 2011 at 12:26 pm. Hoping to win as I need a new project. Time to move on from the Christmas holiday stuff! December 28th, 2011 at 12:29 pm. How neat to come up with these goodies for a January giveaway.! December 28th, 2011 at 12:40 pm. How sweet! 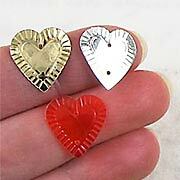 I do love to make Valentine’s…it’s such a nice way to share the love! December 28th, 2011 at 12:46 pm. Ah, who can forget their first young love…..
December 28th, 2011 at 12:51 pm. Third time is a charm….I hope! Cheers! December 28th, 2011 at 12:53 pm. December 28th, 2011 at 12:56 pm. 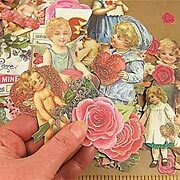 Love the Vintage V Day look it is my second favorite holiday/card day to create for. The kit is fabulous!! December 28th, 2011 at 12:57 pm. wow, what a wonderful kit you have put together! would love to win it! December 28th, 2011 at 1:00 pm. December 28th, 2011 at 1:08 pm. So lovely and girly, just like me!!! December 28th, 2011 at 1:20 pm. GONNA BE MINE I THINK!!! December 28th, 2011 at 1:24 pm. Another great set of cool stuff! December 28th, 2011 at 1:42 pm. This is such a special giveaway! December 28th, 2011 at 1:44 pm. 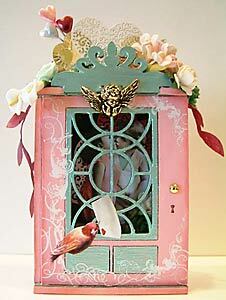 I adore that shrine kit…and love making Valentines…thanks for the chance to win! December 28th, 2011 at 1:56 pm. December 28th, 2011 at 2:01 pm. Love the man with the roses-everything else too!-but especially him. December 28th, 2011 at 2:28 pm. December 28th, 2011 at 2:56 pm. December 28th, 2011 at 3:09 pm. this giveaway is my fave so far as i am a big Valentine theme fan! ive ordered a bunch of sale things, can’t wait to get ‘em! December 28th, 2011 at 3:24 pm. December 28th, 2011 at 3:25 pm. I would love to win this gorgeous kit. Thanks for the chance. December 28th, 2011 at 3:26 pm. December 28th, 2011 at 3:27 pm. Valentine’s day is right around the corner. Who couldn’t use these little treasures. Thanks for the opportunity. December 28th, 2011 at 4:22 pm. Wow!Another fabulous selection of goodies!! December 28th, 2011 at 4:27 pm. December 28th, 2011 at 4:29 pm. Love this!! So cute and romantic. December 28th, 2011 at 4:33 pm. December 28th, 2011 at 5:04 pm. Would love to win this one. kturnquist59@gmail.com Love you for doing this. One more day, one more chance to win something wonderful! Wow-fabulous kit!!! Thanks for the chance to win!! December 28th, 2011 at 5:25 pm. December 28th, 2011 at 5:48 pm. December 28th, 2011 at 5:49 pm. Just in time for making Valentines! My daughter would love all the Paris ephemera! December 28th, 2011 at 5:55 pm. December 28th, 2011 at 5:56 pm. So soft & pretty! Thanks for all the time you put in putting these great packages together. December 28th, 2011 at 6:05 pm. Another great kit! Really like the door shrine. December 28th, 2011 at 6:23 pm. It is so cold where I live this evening, but all this love, romance, and pink girly goodness is warming up my heart! The kit looks wonderful! December 28th, 2011 at 6:36 pm. December 28th, 2011 at 6:56 pm. December 28th, 2011 at 6:59 pm. Yummy!! 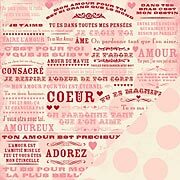 So many things I like… romance, hearts, pink :-)) I Love it!!! December 28th, 2011 at 7:15 pm. December 28th, 2011 at 7:21 pm. who doesn’t love love? count me in for this one! xo from michele mama_wolfdog at yahoo. December 28th, 2011 at 7:24 pm. 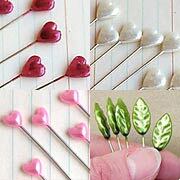 Could be lots of fun to play with and make Valentine’s Day art. December 28th, 2011 at 7:42 pm. Such great things for the V Day! I love pink,love love. Wonderful giveaway! December 28th, 2011 at 7:43 pm. I “heart” those stick pins and everything else in the giveaway. Would love to win! December 28th, 2011 at 7:51 pm. December 28th, 2011 at 8:06 pm. I am sure everyone wants to win this “love” kit because Valentine’s Day will soon be here. I love everything I can see. Thank you. December 28th, 2011 at 8:08 pm. December 28th, 2011 at 8:14 pm. Once again a lovely wonderful gift! Thank you! December 28th, 2011 at 8:16 pm. December 28th, 2011 at 8:50 pm. Oh, how I would love to win. Love the shrine. December 28th, 2011 at 8:59 pm. December 28th, 2011 at 9:29 pm. Hi Leslie. I’d love to win today’s package so much, that I left word about the giveaway on both my blog and my facebook page! Wow this is beautiful! Thanks for the chance to win these awesome goodies. December 28th, 2011 at 9:46 pm. December 28th, 2011 at 9:55 pm. Perfect items to start on my Valentine creations. December 28th, 2011 at 10:19 pm. Is this where you enter this great contest? I hope I am entered. This is the most creative and exciting site I have ever seen! December 28th, 2011 at 10:23 pm. Love this! Thank you very much for the chance to win! December 28th, 2011 at 10:24 pm. December 28th, 2011 at 10:28 pm. Beautiful papers, and the shrine is really amazing! December 28th, 2011 at 11:29 pm.